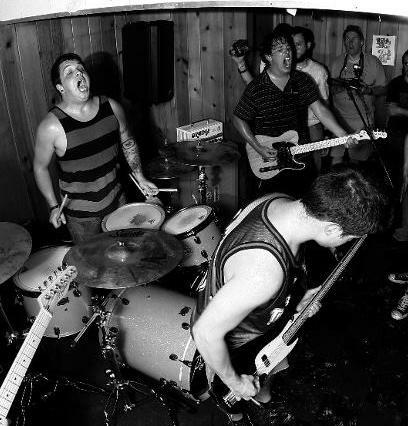 Listen below to Matt and Dan talk with Pentimento member, Mike Hansen about touring, recording, and life as a punk rock drummer. Jenna Fischer's career has been filled with obstacles and challenges. Acting is a profession that is extremely difficult to succeed in. "Unlike certain jobs where if you just show up on time and do good work you can slowly move up through the company - it doesn't work that way with acting," said Fischer. Best known for the role of Pam on NBC's show The Office, Fischer began her career playing small parts in other shows and working as a secretary to help earn money. It took eight years before she landed the role that has so far defined her career. Fischer explained that as a teen, she experienced everything that a typical middle schooler goes through - including bullying. "At the time I would go home and cry. But the truth is, in the end it made me stronger." Jenna Fischer overcame this difficult time in life and is now a successful and extremely talented actress. "This time in your life passes," explains Fischer. "It feels like it’s going to last forever, but it doesn't." Listen below to Jenna Fischer speak with Edward Town Middle School students Austin and Ashley about her acting career. Scott Durbin grew up surrounded by friends and family in New Orleans and began his career as a school teacher. But soon after, inspired by the lack of quality children's programming on tv, Durbin and a group of his friends decided they wanted to help. This is how Imagination Movers began. The group has had to face many obstacles while trying to achieve their dreams. Overcoming Hurricane Katrina was one. It took away everything they had - their homes, personal belongings, and neighborhoods. All they had left was the Imagination Movers. Despite their hardships, the group continued performing and soon caught the attention of Disney. This is what led to their hit television show and numerous full-length albums. Durbin explains that to overcome something, you have to keep things in perspective and use the problem as a motivation. While giving a word of advice, he says, "It will pass, it always does." Listen below to Mover Scott speak with Edward Town Middle School students Katie, Marissa, and Julianna about his career in music and entertainment. 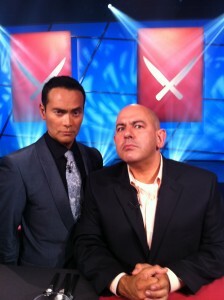 Simon Majumdar is a world renowned food blogger and a judge on the Food Network’s show The Next Iron Chef. He has not always had a career involving food as he used to be a book publisher. During his mid-40s Majumdar went through a mid-life crisis. His mother had recently passed away and he was not happy in his profession. He decided to try to fulfill his life goal to go everywhere and eat everything. He travelled through 31 countries trying all different types of food on his travels. This journey resulted in an acclaimed book as well as a career in television. He is now very fortunate but it was not always this way. Majumdar had to overcome many challenges and he urges kids to know that even when something goes wrong they need to just keep going and everything will work out. Listen below to Simon Majumdar speak with Edward Town Middle School students Matt and Charlie about food, writing, and how he was able to overcome obstacles in his life. From NBC's The Sing Off - The Yellow Jackets! 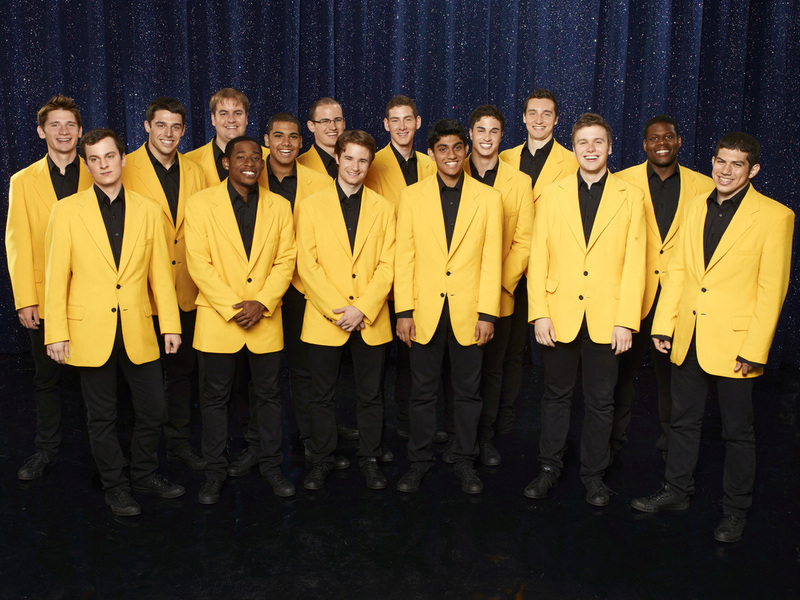 On Wednesday, March 14th, students at Edward Town Middle School located in Sanborn, New York, were treated to a surprise performance from the University of Rochester’s men’s a capella group, The Yellow Jackets. The group is most notable for their success as finalists on season 3 of NBC’s hit show, The Sing Off. One of the YellowJackets, Michael Pittman, is an alumni of Edward Town Middle School, and was excited to perform at his former school. "It looks exactly the same!" said Pittman. "I feel like I'm back home." Edward Town students Alexis and Bronte had the opportunity to speak with Michael and two other members of the group, Matt Carlin and Jamal Moore, about their successes, challenges, and the rewards of their hard work. Students at Bear Creek Intermediate School in Keller, Texas wanted to stop bullying. 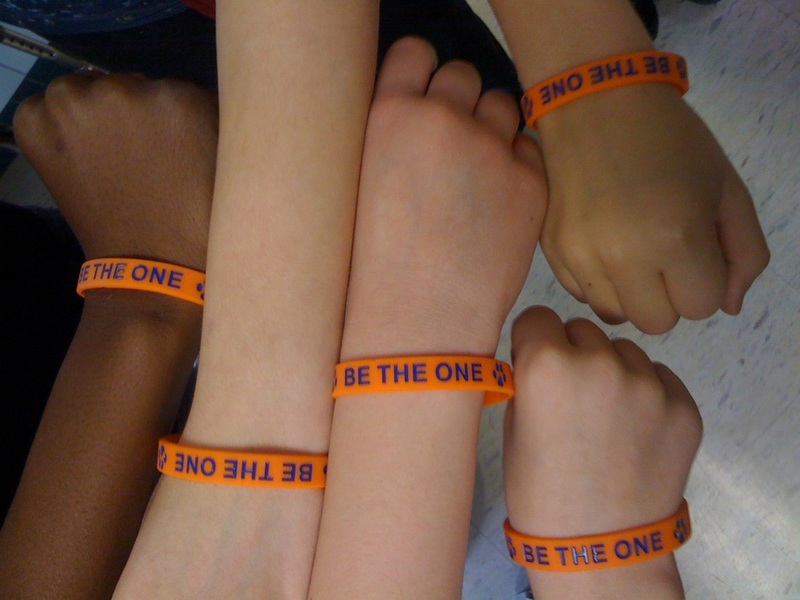 To do so, they created the “Be the One” campaign in honor of former student, Andrew Pacocha who passed away in 2010 after battling Leukemia. “Our idea was to give back to the community," said Principal Tedna Taylor. Bear Creek is making a different in the lives of their school and community. Listen below to students and faculty at Bear Creek speak with Edward Town Middle School students Emma and Molly about their "Be the One" anti-bullying campaign. Scott Miller or “Bulldog,” is a member of the STAND Strength Team. Bulldog is a former kick-boxing champion, semi-pro football player, and former bodyguard. He competes in strongman competitions, lifts heavy stones, and flips 1000 pound tires. Miller uses his strength to influence kids across the nation to make the right choices in life. The STAND Strength Team goes to schools across the nation and encourages kids by demonstrating feats of strength. The team promotes Anti-bullying, anti-drugs, anti-violence, anti-peer pressure, anti-alcohol, respecting others, and academic excellence. The team uses their strength to encourage kids to make the right choices in and out of school. The use of strength demonstrates a positive, exciting, and motivating message to kids. 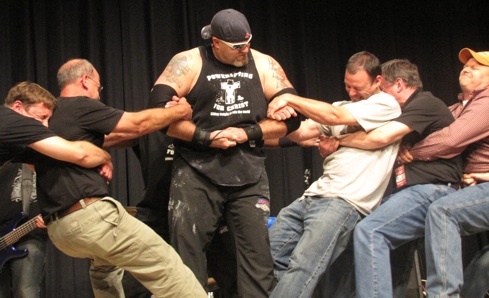 Listen below to Scott "Bulldog" Miller talk with Edward Town Middle School students Shane, Ryan, and Anthony about his incredible feats of strength and the important message he promotes through the STAND Strength Team. 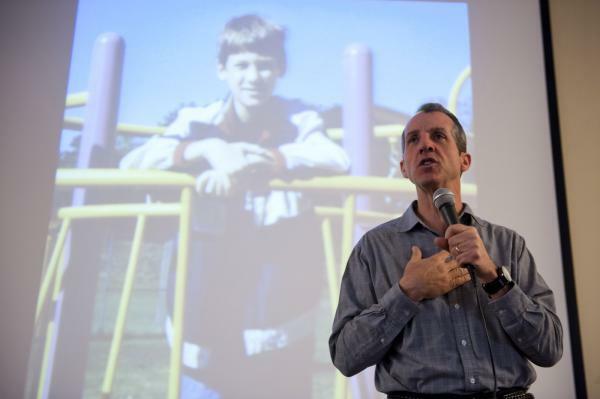 In 2003, John and Kelly Halligan were worried about their son, Ryan. He had been struggling in school and he was the constant target for bullies. Despite doing everything they could for their son, life was very overwhelming to him. Ryan Halligan was only 13 years old when he took his own life. Ryan was bullied throughout his school experience. Students picked on him relentlessly and this had a major impact on Ryan because it took place wherever he went. This was especially the case on the Internet where Ryan was constantly harassed through email. Ryan's father found out about this when he went on his son's account and read the horrible and hurtful messages people were sending him. Mr. Halligan felt it was important to share Ryan's story and help educate on the dangers of bullying. He now travels around the country speaking to different schools about his son's experience. "I do it," explains Halligan, "because I always hear back that someone asked for help for being bullied and feeling suicidal after I left." Click here to read Edward Town Middle School student Elaina's interview with Mr. Halligan. Emily-Anne is someone who knows what it feels like to get bullied. In elementary school kids teased her so bad she had to move schools. In 9th grade she and her friend decided to help people who were getting bullied by creating videos and to help people feel better about themselves. These videos became part of Emily-Anne’s anti-bullying website called westophate.org. She helps victims of bullying by posting Facebook pictures, videos, and tweets that explain how to deal with bullying. She makes bracelets and t-shirts representing her anti-bullying message throughout the world. The response to the website has been amazing and overwhelming because so many people respected positively to what she accomplished. Many celebrities have even come forward to help spread the westophate.org message. 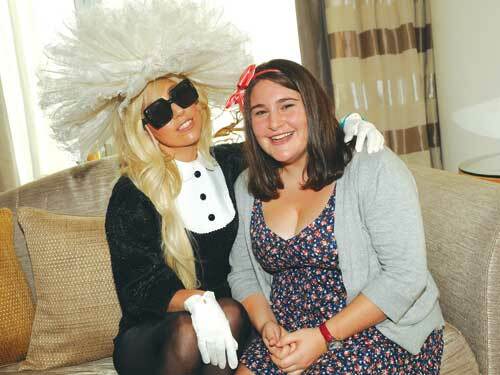 At the TeenNick HALO 2011 Awards Emily-Anne even got the opportunity to meet Lady Gaga. She said Emily-Anne was her hero. Lady Gaga is helping with the anti-bullying situation. If someone is putting you down go to westophate.org and the website will help you through it - all because of Emily Anne and her courageous approach to addressing bullying. Listen below to Emily-Anne Rigal talk with Edward Town Middle School students Jewel and Katie. 12-year-old Vancouver student Mac Harmon knows how to spread a message. Through his website, 316Mackie.ca, he raises awareness for important issues using self-produced public service announcements. 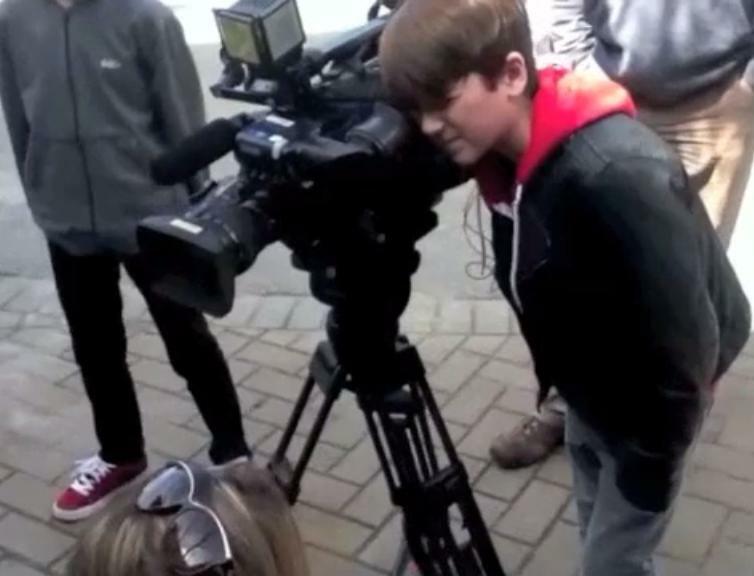 Although he has been producing videos from a young age, his recent fame began last year when his teacher asked him to create an anti-bullying video for a class project. After that first video he kept going, and has now also addressed important issues including racism and homelessness. Mac directs and edits all of his videos. He hopes to one day make movie production his career. Mac is also a strong supporter of Pink Day, an event in Canada that raises awareness for victims of bullying. Mac explained that he felt bullying was wrong, and he strongly supports this event. “On Pink Day I wore pink pants!” he said. Overall, Mac’s videos are an excellent example of a student who is trying to make a difference. He is proud of his work and is excited to share it with others. “Tell your friends about the videos!” exclaimed Mac. Listen below to Mac Harmon talk with Edward Town Middle School students Brittany, Jordan, and Danielle. This section of wearethesolution.net is dedicated to those who are working hard to create a climate of tolerance and empowerment for students. Interviews are conducted by students from Edward Town Middle School as a way to further the positive message of their original anti-bullying video and pledge campaign. Feel free to read and listen to interviews, and leave lots of comments! If you know of an individual or group leading the way with anti-bullying, we want to feature them here! Please contact us so we can schedule a conversation!